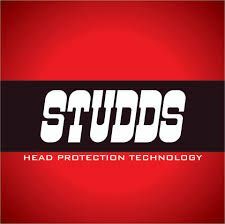 Studds Accessories is engaged in the business of manufacturing of two wheeler helmets. Studds, which is their flagship brand, was the largest selling two-wheeler helmet brand in India in terms of volume of two wheeler helmets sold in India in the financial year ended March 31 2018. As of June 30, 2018, Studds is marketed and sold in a total of 21 countries. They also have another brand of helmets called “SMK” that was launched in 2016, which is their brand with the largest market share in the premium two-wheeler helmet segment in terms of volume in the last financial year. As of June 30, 2018, SMK is marketed and sold in a total of 23 countries in Europe, Asia and Latin America. They are also involved in manufacturing lifestyle accessories for two-wheelers like two-wheeler luggage, gloves, helmet security guards, rain suits and eyewear. As per the F&S Report, Studds Accessories is the only manufacturer of premium two wheeler helmets in India. Now, in a few days, the business is coming up with an IPO for potential retails investors. Let’s see whether you should be investing in it or not. As of date, there are 5 Directors on the Board of the company. Mr Madhu Bhushan Khurana is the Chairman and Managing Director, Mr Sidhartha Bhushan Khurana is the Managing Director, Mr Shanker Dev Choudhry, Ms Pallavi Saluja and Mr Pankaj Duhan are the Independent Directors of Studds Accessories Limited. He is an aeronautical engineering graduate from the Panjab University. Earlier, he was an entrepreneur and was engaged in the business of manufacturing motorcycle helmets. He has an experience of more than 35 years in business administration, finances, strategies & manufacturing. Studds Accessories IPO will open on (undisclosed date) and close for subscription on (undisclosed date). The IPO size will be of (undisclosed) Equity shares and the face value of each share will be ₹5. Out of these (undisclosed) shares, (undisclosed) shares will be reserved for market makers and the rest (undisclosed) shares will be issued to investors. The price band range has been set at ₹ (undisclosed) – ₹ (undisclosed) per share. The IPO size is expected to be up to ₹98 Crore. The market lot size is of (undisclosed) equity shares and the shares will be listed on the National Stock Exchange and the Bombay Stock Exchange (BSE). An Offer for Sale of up to 39,39,000 Equity Shares by the Selling Shareholders. Pursuant to a resolution on June 8, 2018, the offer for sale by the selling shareholders has been authorised by the Board of Directors. Pursuant to the special resolution of the shareholders on July 7, 2018, the fresh issue of equity shares has been approved by them. The increase in revenues from ₹2930.26 million in the financial year ended March 31, 2016, to ₹3111.33 million in the financial year ended March 31, 2017, and from ₹3111.33 million in the financial year ended March 31, 2017, to ₹3417.89 million in the financial year ended March 31, 2018, shows a CAGR of 7.35%. The profit after tax has shown a CAGR of 14.67% during the last three fiscal years. The Return on Net Worth of Studds Accessories were 27.35%, 27.16%, and 38.70% in the fiscal years 2018, 2017 and 2016 respectively. The Earnings per share figure decreased from the fiscal year 2016 to 2017 but increased considerably in the last fiscal year to ₹16.71. To partially finance the motorcycle helmet and accessories manufacturing facility which is located at Faridabad, Haryana. To partially finance the bicycle helmet manufacturing facility which is located at Faridabad, Haryana. To meet expenses related to general corporate purposes. Other than the above-mentioned objectives, the Studds Accessories IPO will help the company in increasing its visibility and image of the brand. Studds Accessories filed the Draft Red Herring Prospectus (DRHP) with the Securities and Exchange Board of India (SEBI) on August 24, 2018, for the 100% book building offer. The offer will open on (undisclosed) and close on (undisclosed). The finalisation of basis of allotment is expected to happen by (undisclosed) and the initiation of refunds is expected to start by (undisclosed). The transfer of shares to demat accounts is expected to start on (undisclosed) and the expected listing date will be (undisclosed). Let us discuss some strengths and risks related to the business of Studds Accessories Limited. The biggest strength of the company is that the volume of two wheeler helmets sold by them is the highest in the world. Studds, which is their flagship brand, is the largest brand in its industry. Due to such high volumes sold, the brand name is quite popular in India. Their well qualified and experienced management has helped them to develop an expertise in manufacturing innovative designs and focus on quality and optimizing fit, comfort and sizing. Their integrated manufacturing facilities help in continuously developing new products and designs, lowering operational costs and having a faster response to customer requirements and complaints. The close proximity of their manufacturing facilities gives them synergistic benefits. They have a strong clientele that includes Honda Motor India Private Limited, Hero Motorcorp Limited, Suzuki Motorcycle India Private and UM Lohia Two Wheelers Private Limited. They have a scalable business model which is capital efficient too. They can easily expand their geographical reach without bearing high capital expenditure because of their large dealer network, which includes domestic dealers, importers and 2 wheeler OEMs. Financially also, the revenues and profit after tax have gradually been increasing over the last three fiscal years. They also have some strong strategies built up in order to grow and expand their business immensely. Now, let us discuss the risks related to the company. One of the biggest risk factors is that if they are not able to maintain both of their brands, their sales will be adversely affected. The demand for their products may go down if they are unable to change according to the changing customer preferences. Non-availability of raw materials in enough quantities and at competitive prices or a disruption in the supply may also pose more risks to the company. The profitability of the company is dependent on export sales to the USA and other African, Asian, European and Latin American countries. If they are unable to manage their business well in those countries or the demand for their products goes down due to any other factors, it may severely impact the business of the company. Inability to protect or use their intellectual property rights, delays in obtaining third-party certifications and accreditations are another potential risk factors. Dependence on many factors like some major customers, labour, skilled professionals, suppliers, third-party transportation providers, etc. also poses additional risks for Studds Accessories Limited. Overall, after analysing different strengths and risks related to the business, it may be said* that investors can subscribe to the Studds Accessories IPO and hold on to their investments for a longer period of time for better returns. Furthermore, the IPO seems to have the ability to provide short-term quick profit as well. Thus, if you are fine with just a bit of risk, you may go for short-term gains too. Edelweiss Financial Services and IIFL Holdings are acting as Book Running Lead Managers for the issue. Link Intime India Private is acting as the Registrar for Studds Accessories IPO. *It is an opinion and cannot be deemed as a financial advisor for any investments.